This interdisciplinary graduate program is designed for students who want a solid background in public policy as well as law. The master's degree (MS) in Law & Public Policy is an interdisciplinary public policy program that prepares students for careers in government, non-profit and legal organizations, and research. Students first complete the law degree, taking the specific courses indicated. After completing the Juris Doctor (JD), students then take one year of courses in LPP, ending with a capstone course. The program covers a full range of strategies for creating policy change, including legislation, litigation, the ballot box, and civil action. Students engage in policy analysis and applied research that develops real-world solutions to public policy challenges. 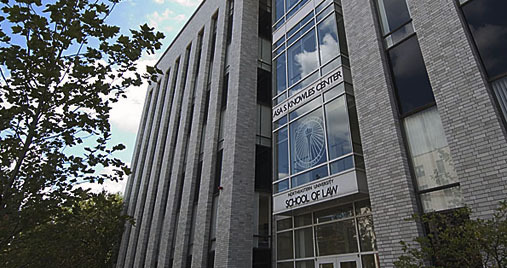 Want more info about Northeastern University School of Law? Get free advice from education experts and Noodle community members.